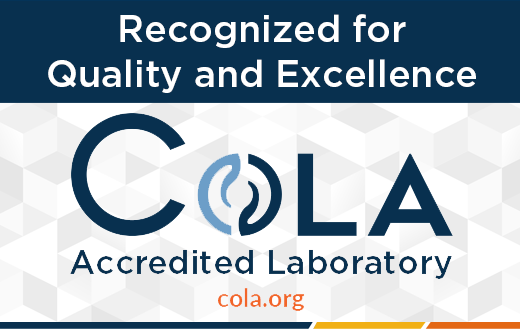 COLA's goal is to help you meet CLIA and applicable state regulatory requirements and maintain the highest level of patient care at your clinical laboratory. That's why we've made our accreditation process as straight forward as possible - we use educational tools to prepare your laboratory before the on-site survey, evaluate all laboratories on consistent and fair standards, and work with you to develop an accreditation strategy that works for your organization. to speak to one of our Accreditation Sales Representatives.